Monday: Jan brought us examples of how she uses words to capture the reader's imagination. 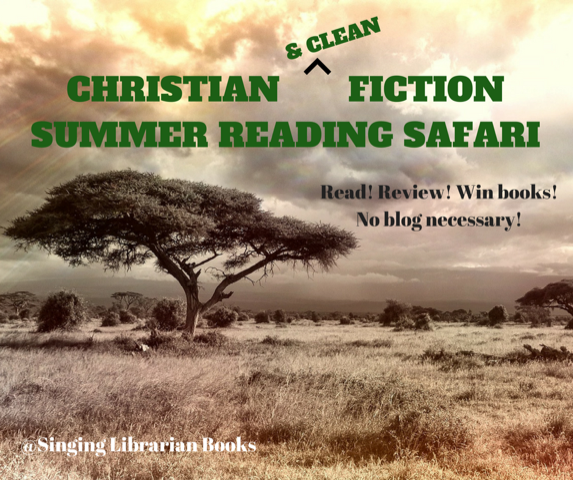 Winner of an e-book copy of A Home for His Family is Kaybee! Tuesday: Ruthy popped in to celebrate the release of her newest Love Inspired "Her Cowboy Reunion" available nationwide at Walmart, Kroger, Winn Dixie, wherever mass market paperbacks are sold, and even at some Barnes & Nobles! Go them! Check out Ruthy's newest Western series... "When three Steel Magnolias are forced to spend a year in western Idaho, will the region... and the cowboys... ever be the same again? Wednesday: Melanie Dickerson challenges us to Write Confidently, Even If That Scares You. Challenge accepted! A copy of Melanie's recent release, The Orphan's Wish goes to Jeanne T! Thursday: The delightful Richard Mabry stopped in to talk effort and accomplishment on Friday and he was wonderful, as always. His newest book "Guarded Prognosis" has hit the Kindle marketplace with a bang... as it should! Richard wants to do a giveaway, so we're doing that THIS WEEKEND! An e-copy of "Guarded Prognosis" for one lucky weekend commenter! Friday: Matt Mikalatos shared 7 Ways Fiction Can Break Through When Non-Fiction Fails. Tyndale House is giving away a copy of The Crescent Stone to one lucky commenter and that commenter is ... Vince! Monday: Erica Vetsch offers her vast knowledge on the subject as she explains How To Write A Killer Author Bio. Wednesday: Publishers Weekly bestselling author Debby Giusti and RWA Golden Heart finalist Josee Telfer will share thoughts about the Romance Writers of America National Conference 2018. Be sure to stop by and learn what both ladies--who roomed together--thought about the conference. One lucky person who comments will receive a surprise giveaway. Friday: Location, Location, Location, we've all heard that, haven't we? Pam Hillman brings it to life in her books. 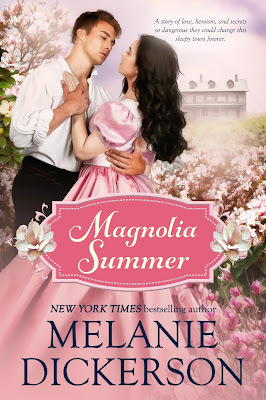 Melanie made a "Big Announcement" this week: She's delving into new territory with this Southern Historical Romance! And it comes out in just a month and a half!!! Check it out and Pre-Order it on Amazon! P.S. Isn't this cover so dang PRETTY???!!! 2018 Maggies Announcement! 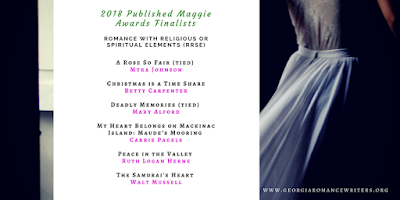 Here are the finalists in the Published Division of the Maggie Award for Excellence, Spiritual Elements... hearty congratulations go out to all these folks, a bunch of Seekerville favorites! Celebrating a First Sale! Seeker villager Pat Jeanne Davis let us know that she signed a contract with Elk Lake Publishing for her historical romance! Congratulations, Pat! And this just in from the Unpublished Maggie Award for Excellence!!! Congratulations to all of these wonderful gals! Connie, Christy, Cindy, Dianna and Christy again! We are so proud of you! 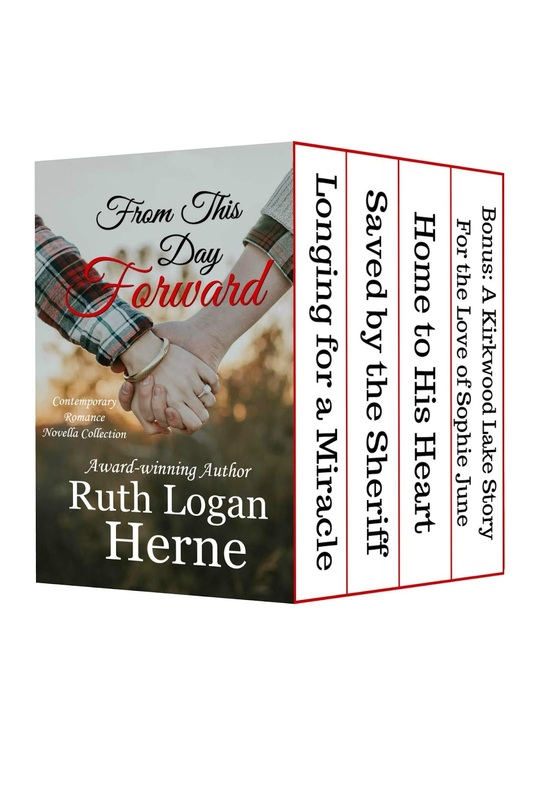 And Ruthy (Ruth Logan Herne) has lovely news... a romance anthology of novellas hitting the market next Tuesday, 7/24, but you can Preorder It Here! Perfect for beach reads... or any old place you want to smile and sigh! And all written by this multi-published, award-winning author! 5 Reasons to Give Up On Your Novel (and 1 Reason Not To) by Janice Hardy at Fiction University. How to Write Unique Themes from K.M Weiland's blog. What Can Happen with Your Writing One Year from Now? by Lucinda Secrest McDowell at The Write Conversation. 4 Signs You Might be Confusing, Not Intriguing, in Your Opening Scene by Janice Hardy at Fiction University. Do you need help with Time Management? Check out Sarra Cannon's blog, Heart Breathings, as she discusses all things writing efficient. For a complete list of the 2018 RWA Golden Heart and RITA award winners, check out Romance Writers of America. First, congrats to all winners, that's always so much fun! And second, what a delightful week going... I can't wait to hear the cool stuff from Denver when Debby and Josee come by on Wednesday!!!! And that means it's a great week coming, too! We're still in drought here, and watering mums has become my outdoor prayer arena... And while that's good, I sure would love a soaking WNY rain (which seem pretty prevalent in November, folks... all I want is one or two now...) But either way, we'll keep watering... and writing! Going to rain in New England tomorrow. Will send you some. We've had a wet summer, Ruthy. Crazy weather. And huge congrats to the unpublished Maggie finalists! YAY YOU!!!!! That is so exciting! I love the Maggies... And GRW. What a great organization and a marvelous contest. And now I'm going back to work. Enjoy your summer weekend, folks! Congratulatiins to all of the winners this past week. Please enter my name for Dr. Mabry's book. I wish everyone a great weekend! Good posts this week with a wealth of information. Today is my "business" day, blogs, contests, conferences and Pelican stuff. I got a LOT of writing this week! Can't complain. At least not about this. That's great, Kathy! I had plans to get up early and write this morning before anyone else got up, but a big storm messed that up when my dog went crazy. Then after his anxiety medication, he got worse. It took hours to wear off. So strange! Congratulations to the Unpublished Maggie finalists, especially the ones from here. I'm kind of in a holding pattern, contest-wise. I'm contracted so I can't enter a lot of the "unpubbed" ones, but my book isn't out yet so I can't enter it in any of the "pubbed" ones. Guess I'll look for unpubbed contests where you can enter if you're contracted. I learn so much from contest feedback, am loath to give them up. Having a lazy morning. Must get going soon to prepare to leave for Dad's memorial service. I just needed some down time to regroup. Wilani, we'll be thinking of you today. Happy weekend, everyone! And congrats to the contest finalists and winners!! Also congrats on the new releases!
" From This Day Forward: Contemporary anthology by one of America's most beloved authors! With a promise like that I had to go right out and pre-order the book -- even though it releases just 3 days from now. Actually all the headline really needed to do was mention "A Return to Kirkwood Lake". Wow! A Lawman, A 'Hidden Child,' A Reunion, & A Beautiful Location Abandoned Long Before Its Time! I hope the story has my favorite 'hidden child' scene in which the unknowing hero is with the heroine and child when a lady approaches and says how much the hero's daughter looks just like him. "You and your wife must be very proud." I know this is a cliché but I love reading it every time! Hahahahahah! You are so funny! There is no scene like that in the story, my friend. :) But it's a nice collection of novellas that were included in some of the Seeker collections.... and needed to find a home again! "For the Love of Sophie June" is a fave of mine... because we had look-alike cousins in a family and you'd have sworn they were twins or at least sisters.... funny how genetics work! Wow, what a great WE and so much to celebrate! Congratulations to the winners. I'm thrilled to be among them! I am soo looking forward to reading Melanie's book! And congratulations to Pat! What exciting news! It is definitely a happy-dancing weekend! I am working on revisions for my book today while my boys do some paid work for a friend. I hope everyone has a good weekend! It's raining hard this afternoon in Philly. Can't complain as so many are in a heat wave and in a dry spell. 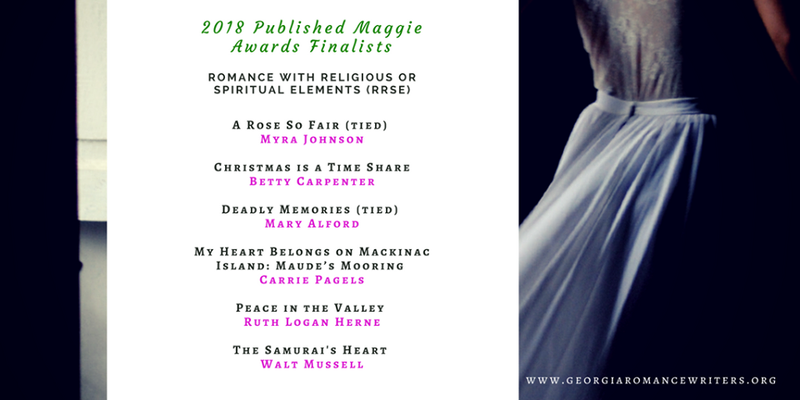 Congratulations to all the Maggie Finalists and winners last week. Many thanks for your congratulations on a publishing contract. Jeanne, and for those received last week. You and others here have been a huge help as I wrote and became better acquainted with the industry. The Seekers masterful teaching posts and encouragement to stay the course motivated me. An exciting week coming up. I will be reading very closely Erica's post on an author bio. This new title will take time to get used to. Wonderful weekend to all. My prayers are with Wilani. Congratulations Pat on your contract. That is so exciting. We are all so happy for you! Congrats again! We're thrilled for you!! Congrats to the winners and looking forward to reading what posted next week. Happy, happy weekend!! There are so many winners! Congratulations to you all! Southern Historical Romance-I'm going to have to check that out. 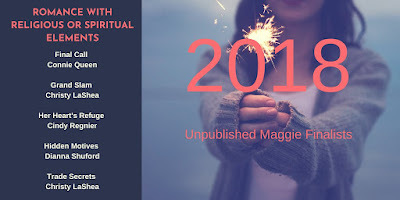 Maggie winners-published and unpublished-congratulations! First sale-Pat Jeanne Davis-way to go! Can't wait to read your book! Ruthy-congrats on the latest romance anthology all your own. So exciting!! Can't wait to read those stories! I'm going to the beach in a week and a half-would be perfect! Would love to be entered for an e-copy of "Guarded Prognosis". Love Dr. Mabry's books! Hope everyone's having an awesome weekend! 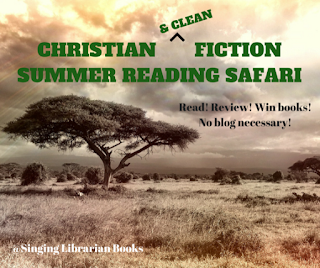 Thanks Pam for reminding us of the Summer Safari. I read both your books. They are awesome! Next please! I’m having loads of fun! Would love to be entered into Dr. Mabry’s giveaway. Thanks! Happy Weekend. Congrats to all those who were finalists in contests and those that have books coming out. Please enter me for Dr. Mabry's book. I am having an enjoyable and somewhat productive weekend. Did some major housecleaning yesterday and then went to our local theater production of Cats. It was wonderful. Our little community theater has amazing talent. That sounds awesome, Sandy! I love community theatre. We don't have much of it. I did find a clogging class nearby and I'm going to check it out Monday evening! I would love to see Cats! And you cleaned.... Oh my stars, we need some of that around here, Sandy!! !